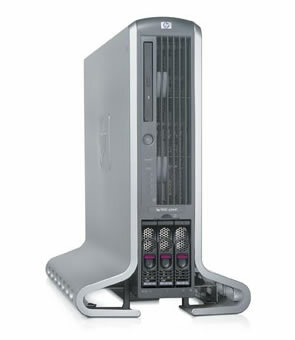 The hp 9000 rp3410 is a 2 way and hp 9000 rp3440 Server is a 4 way rack mount or tower server based on the PA-RISC processor family architecture. The rp3410 and rp3440 are mid-range Internet and Application Servers, utilizing the HP-UX operating system. Both servers use a 2U high EIA enclosure which mounts in any standard 19 EIA rack. All external cabling enters and exits from the rear of the enclosure. There is space for 3 hot-swappable hard disk drives. Redundant power supplies are optional. Copyright 2007-2009 MIT Limited. All rights reserved.